Life was good for Mark Verzi and wife Ainsley. They had each other, a gorgeous 18-month-old son, Jackson and big plans for the future. Soon they would try for another baby. But last April their plans changed dramatically. Mark was in a meeting at work when he touched his neck and felt a lump the size of a golf ball. He rushed to the doctor. Within 24 hours, he had been diagnosed with Hodgkin’s Lymphoma, a life-threatening cancer of the lymph nodes. Mark was informed that without urgent chemotherapy, he would die. Then Mark’s cancer specialist delivered more shocking news - not only had the cancer spread to Mark’s chest and groin – but the chemotherapy that could save his life would also make him infertile. With Mark immediately off work and hospital bills on the way, he and Ainslie knew there was no way they could afford the costly fertility treatment they would now need if they wanted to give Jackson a sibling. This Christmas, will you send the urgent gift of $75 to give cancer survivors the extraordinary gift of a baby, through affordable fertility services? In Australia today, infertility affects 1 in 6 couples of reproductive age. But for those fighting cancer like Mark, who also need to take time off work for intensive chemotherapy, the costly treatment to conceive a child can simply be out of reach. Just days before Mark began chemotherapy, when the dream of a sibling for Jackson seemed hopeless, he and Ainsley received an extraordinary opportunity. 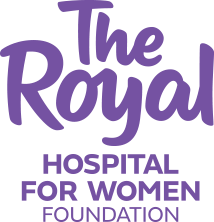 Mark was fast-tracked into an appointment with a reproductive medicine specialist at The Royal Hospital for Women, Sydney. Thanks to you, our team could preserve a deposit of Mark’s healthy sperm, to conceive a baby when the time was right. When someone beats cancer they just want ordinary things, like having a baby. But right now there are hundreds of heartbroken couples like Mark and Ainsley missing out on this because they can’t afford costly fertility treatment. It’s unacceptable. And that’s why we have an ambitious but achievable plan to help as many people as possible by establishing an Australian-first holistic Fertility and Research Centre at The Royal in early 2017. This world-class clinic will expand our services to offer affordable IVF and, fertility preservation for people with cancer – even children. During Mark’s chemotherapy, it gave him immense relief to know he could focus 100% on beating cancer – and that because he had stored healthy sperm he and Ainsley’s dream for another baby was no longer out of reach. But right now, there is a $30,000 funding shortfall for the Centre and other deserving couples may miss out without your gift this Christmas. In total, Mark endured 12 gruelling rounds of chemotherapy. It was a long tough fight. Then came the agonising wait to see if the treatment had worked. Three months passed, then six, with no return of the cancer. Mark and Ainslie were ecstatic. For the first time they felt hopeful. Maybe their dream of a sibling for Jackson could come true. When the time was right, Ainsley came back to The Royal to undergo a procedure called intrauterine insemination, a treatment where Mark’s healthy stored sperm was placed in her womb to greatly increase the chance of fertilisation. It didn’t work the first time, but, because the treatment was affordable, they had the opportunity to try once more. Fertility treatment can be extremely costly and without your help, we cannot make sure every person who needs it can receive world-class care at our new, affordable Fertility and Research Clinic. Please donate below a gift of $35, $55, or even $75 to invest in this one-of-a-kind fertility service. Today, I am thrilled to announce Mark and Ainsley are pregnant. Jackson’s little brother or sister is due three days before Christmas. What an extraordinary early present! “Our doctor promised we would have a baby before next Christmas and here we are,” says Ainsley. Last year, Mark didn’t even know if he would make it to Christmas and thought his dream of a baby was shattered by his cancer diagnosis. Today, after beating cancer, Mark is a different person. In fact, he says, a stronger person. If cancer has taught Mark one thing it’s that the ordinary moments with family are actually what makes life extraordinary. This is something every cancer survivor who wants a family - but can’t conceive - should get to experience. This Christmas, we need your help to achieve something extraordinary – affordable world-class fertility treatment to help couples conceive, regardless of their socio-economic circumstances and past health experiences. On behalf of the team, I wish you and your family a wonderful, happy Christmas together.